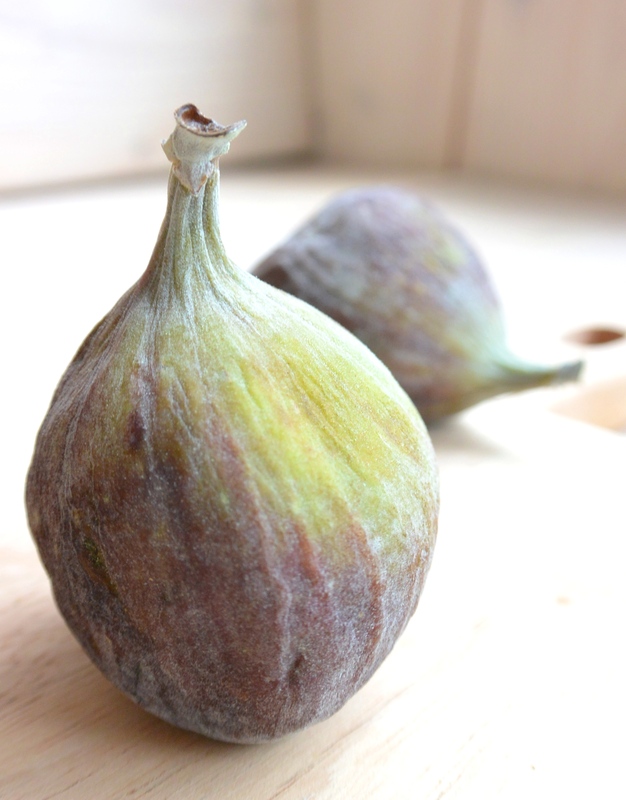 I found three lovely fresh figs at the greengrocer. Fresh figs always remind me of a lovely holiday with my husband in Greece. We went out for diner at a cute restaurant, well, restaurant… This old man and woman ran this restaurant practically in their own garden and cooked in their own kitchen. The food tasted heavenly! I remember that this garden was overgrown with vines and there where several fig trees, loaded with big, fresh, colorful figs! When we had finished diner, the old man brought us a bowl with fresh figs. Lucky for me my significant other doesn’t like figs that much and so I had all the figs for myself. When asked, the old man even had a bag to carry the figs to our hotel and he even gave me a few more figs. 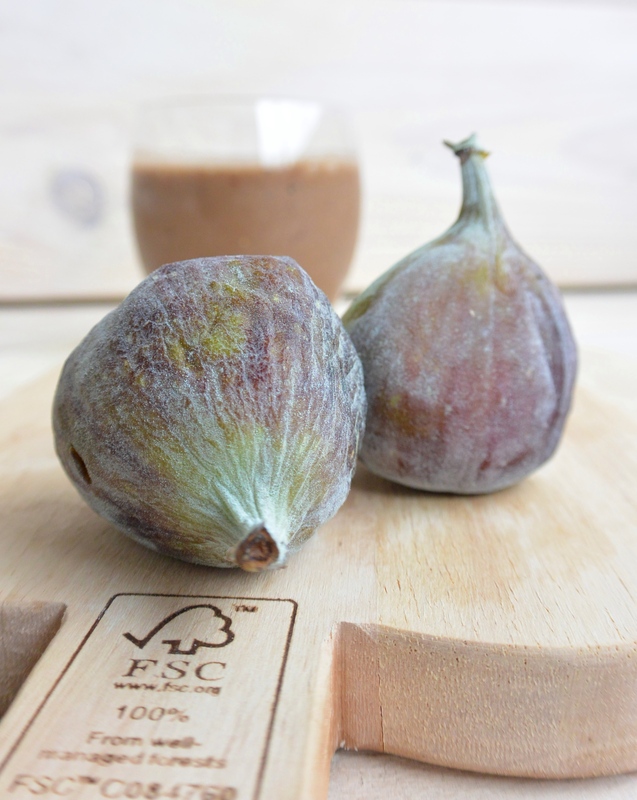 The following mornings I indulged on the figs, what a feast! 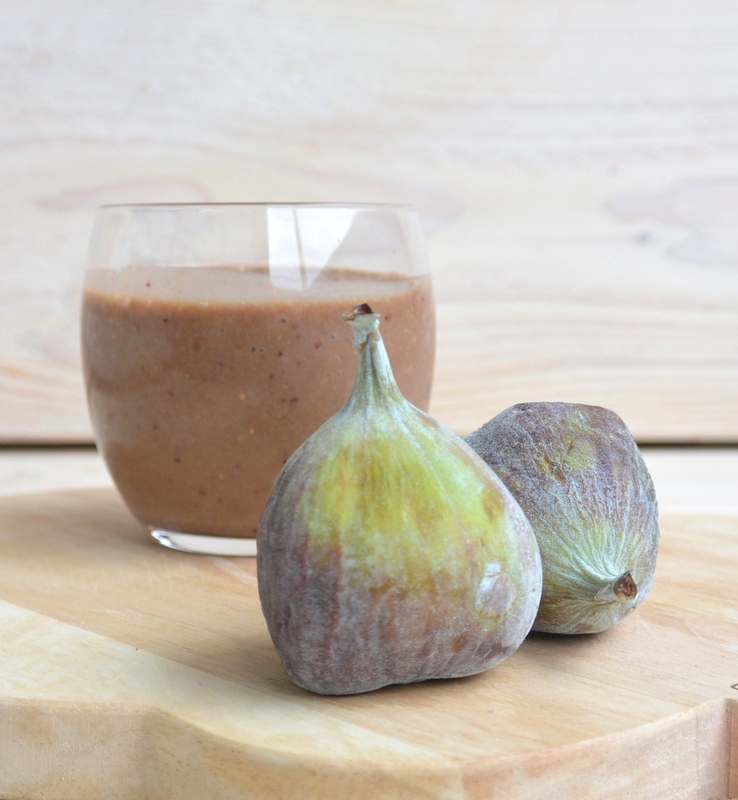 Would love to go back to sunny Greece right away, but instead I’m sitting here in a rainy Holland with my three fresh figs….Figs are super yummy to eat just as they are, but they’re also very tasty when blended through a smoothie. They give it a slight, natural sweet taste. 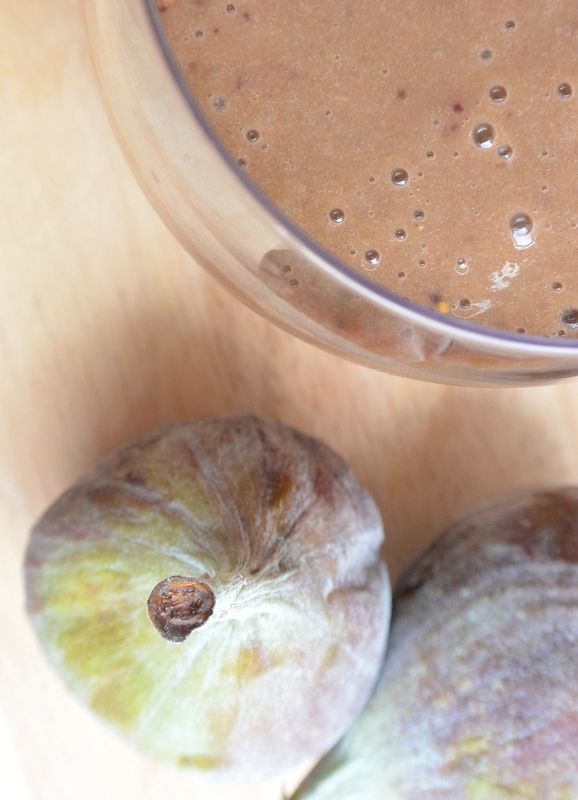 In this smoothie I also added Carobe powder, which is produced from the legumes of the Carob tree and it has a sweet, caramel-like taste. The powder looks almost similar to cacao powder. It doesn’t only taste great in a smoothie, try to add it to your batch of Choco Candy Balls for example! Optional: few drops of Vanilla Essence. Directions: Put all the ingredients in a mixing cup and blend into a creamy smoothie by using a handmixer. Poor in a glass and enjoy! Posted in Breakfast, Juices and smuices, recipes, Snacks, VeganTagged carobe, dairyfree, fig, figs, fit, food, fruit, glutenfree, glutenvrij, healthy, healthy lifestyle, healthy snack, natural, recipe, smoothie, soyfree, sugarfree, suikervrij, vegan, zuivelvrijBookmark the permalink.